Whether you're looking for genuine OEM parts or for top-quality aftermarket parts, if you're running a Wacker packer (vibratory plate compactor) that has a problem, you want quality replacement parts and you want them ASAP. That's the name of our game! Here you can buy Wacker plate compactor parts that qualify for free ground shipping anywhere within the lower 48 states on orders of $99 or more, or if you want them even faster, call us for next day air shipping service. We stock exciter o rings, exciter bearings, clutch assemblies, shockmounts, handles, lifting cage frames and more for models like the WP1550 / 1540, VP1550, and older VPG165 / VPA1750 tampers. Our accessories include water tank kits, wheel kits and protective pad kits (baseplate covers) for landscape contractors. 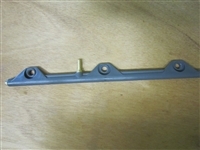 Most of our plate tamper parts are genuine OEM, but we stock a few aftermarket carburetors, air filters and belts as well. If you need a replacement engine for your Wacker, we have those too. 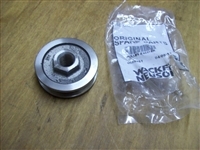 Wacker WM170 parts and Honda GX160 parts are common replacement items for these machines, and we stock several parts for the engines, as well as whole replacement motors. 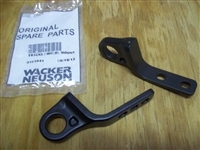 Wacker Neuson OEM part # 5100016316 Shockmount - Fits newer 2016 and later WP1550 plate compactors, with 51000 item #'s. 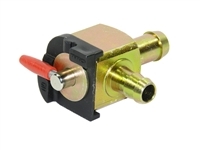 If you have an earlier model WP1550, WP1540 or VP1550, it will use the part # 0130000 mount. 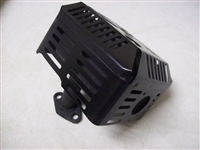 New aftermarket muffler for Honda GX160 Engines - Fits Wacker WP1550a, WP1550aw, WP1540a and WP1540aw plate compactors. Will not fit Wacker/Subaru engines. 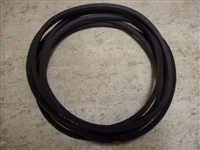 4 OEM Rubber Shockmounts for the Wacker VPG165a plate compactors. 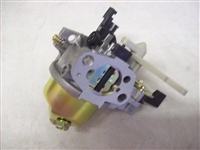 Aftermarket carburetor for Wacker WP1550A, WP1550AW and WP1540aw plate compactors with Honda 5.5 GX160 engines. 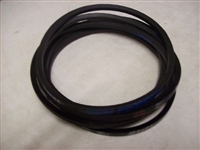 6 Belts for Wacker WP1550, WP1550A, WP1550AW, WP1550W, WP1550V, WP1550R, WP1540, WP1540a, WP1540w and WP1540aw plate compactors. 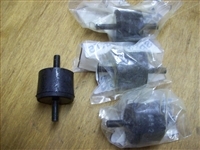 4 OEM Rubber Shockmounts for the Wacker VPG160 plate compactors. Wacker WP1550, WP1550a, WP1550aw, WP1550w and WP1540(aw) model plate compactors w/ Revisions 118 and above. 6 Belts for Wacker VP1340, VP1340aw, VP1550, VP1550aw, VP2050y and VP2050aw plate compactors.